BEI is the nationally recognized leader in training for optimizing facility systems to minimize costs. Currently BEI is a partnership composed of its two founders: Drs. Glennon Maples and David Dyer and Tom Burch. Collectively, these individuals have written a dozen textbooks, authored five patents, published over fifty scientific papers, and developed numerous computer software packages in their areas of expertise. They have taught more than a thousand workshops involving more than 100,000 people. More than 125,000 facility operation personnel use their textbooks. The Boiler Efficiency Institute, LLC (BEI) has presented several hundred practical workshops on boiler and HVAC plant operation improvement for reducing costs over the last 17 years. The economic turndown is forcing renewed emphasis on efficiency. Unfortunately, many plant managers are not exploring energy savings opportunities because of the perception that up-front costs are too high. BEI has updated instructional courses to come in line with these new economic requirements. These courses will show the participants how to recognize operation and maintenance changes that require little up-front cost, but save much money in operation costs. The latest in the refrigerant situation has also been included in our HVAC course. The instructional team has no vested interest in any product. All information will be presented from an objective viewpoint based on the experience and expertise of the lecturers. We feel that this is an important advantage over "free" programs presented by vendors. BEI stands for 'Boiler Efficiency Institute, LLC'. Due to the growth of its expertise described below, it has outgrown its name. It is the recognized national training leader in optimizing facility systems to minimize operating costs. Drs. Maples, Dyer & Burch have nearly 20 years experience. Collectively, these individuals have written a dozen textbooks, authored five patents, published over 50 scientific papers, and developed numerous computer software packages in their area of expertise. They have taught more than a thousand workshops involving more than 50,000 people. More than 75,000 facility operations people use their textbooks. BEI was established in 1972 by two of its current principals: Drs. Glennon Maples and David Dyer. These individuals recognized early in their career the need for training leaders to have extremely strong technical expertise while at the same time possessing the ability, desire, and experience to deliver sophisticated information to practicing professionals. They recognized the audience which could benefit the most consist of operators, engineers, management personnel, and trades people. The instructors also recognized that a "hands-on", down-to-earth delivery, presented in an entertaining and informative style, is essential to success. These individuals have the experience of teaching in major universities and have spent thousands of hours working in industrial/commercial plants, conducting research, and training clients. 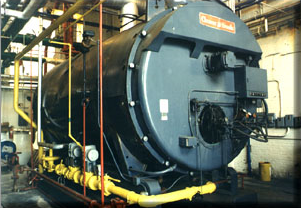 Over the last 25 years, the range of expertise has grown to span the entire spectrum of facility operation to include boilers/steam systems, HVAC, compressed air, electrical systems, industrial water treatment, controls, environmental pollution, indoor air quality, maintenance, and safety. BEI never endorses or represents any product. BEI does not hire outside speakers and has taken on only, Dr. Tom Burch. This ensures that the highest quality standards are preserved. Our clients will know that one of our organization's four partners will present the program. This method of operation is vastly different from others. BEI has held workshops for major industry, government agencies and public utilities across North America and throughout the world. Our corporate clients include: U.S. Department of Energy, Chrysler Corporation, U.S. Air Force, U.S. Army, U.S. Navy, Honeywell, Allied Signals, Lockheed, Phillip Morris, and R.R. Donneley. We have also worked with the following states: Nevada, Minnesota, New York, Montana, Pennsylvania, South Carolina, and Tennessee. 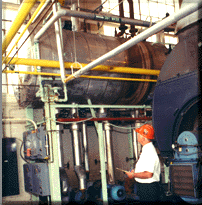 "We have worked with the Boiler Efficiency Institute, LLC (BEI) for a number of years. BEI has helped us deliver bottom line energy management solutions to our customers. Their staff has the experience and knowledge to bring technology to life." "BEI has presented well over one hundreds seminars in New York State over the past 17 years. Their presentation style and practical knowledge makes participants eager to come back for more"
"Wisconsin Public Service has used the services of the Boiler Efficiency Institute, LLC to train our large commercial and industrial customers, and to assist our trade allies, since 1993. These sessions-ranging from breakout sessions at an expo to two-day training with hands-on, on-site demonstrations--have been well received. The Institute's speakers are talented, have excellent delivery, and keep attendees not only participating but also enjoying training during an entire two-day period. Furthermore, the background and experience of the Boiler Efficiency Institute, LLC's instructors is of the highest caliber." Utilities have a vast opportunity to win customers (particularly in a deregulated market) at almost no cost by providing timely, informative, reliable information to customers at workshops. The quality of the presenting team is paramount in taking advantage of the opportunity. We have proven that our programs work with 25 years of successful programs. Based on our proven methods and staying abreast of the ever changing technical and business environment, BEI is recognized as the permanent organization for utility energy utilization programs. "Our programs offer utilities the power to maintain customer loyalty and increase business."